Qualcomm’s activist spat offers a lesson for Silicon Valley – but technology companies might not learn the right one. Jana Partners wants the $114 billion chip maker to consider a breakup and reform its board. Hiding behind dual-class stocks, as some tech rivals do, may limit such meddling. But it wouldn’t fix Qualcomm’s problem of a sleepy board and entrenched management running it below potential. Qualcomm has been phenomenally successful at discovering ways to transmit data wirelessly and profiting by both producing chips and licensing out its technology. Jana argues that the company is undervalued: put the licensing business on the S&P 500’s multiple of 18 times earnings and account for cash on its balance sheet, and investors are attaching essentially no financial worth to its chip business. The activist argues a breakup could rectify this discount – especially as the chip unit may make a tasty M&A target. It might also ease persistent antitrust investigations into the company. Yet there’s a strong strategic argument for keeping the two businesses together. The chip unit discovers technologies that the intellectual property arm licenses out. Separating the two could hurt, as the licensing arm provides about two-thirds of Qualcomm’s profits. Jana’s on firmer ground arguing for cost cuts, new management incentives and board reform. The founder’s son, Paul Jacobs, is executive chairman, and last year he received $9 million of performance stock units and a $45 million restricted stock grant that vests over several years. Three directors have been there for more than 20 years. Meanwhile, management incentives favor top-line growth over shareholder-friendly metrics like return on invested capital. Having voting control with few shares, as the likes of Google and Facebook do, would have given the company the luxury of just ignoring Jana. That may resonate around the Valley. The real lesson, though, is to beef up performance. Qualcomm has already spotted that it needs to offer its investors something – it has upped its dividend and promised to buy back $15 billion of stock. Adopting some of Jana’s sensible suggestions about pay, costs and the board would be an effective way to see the interloper off. 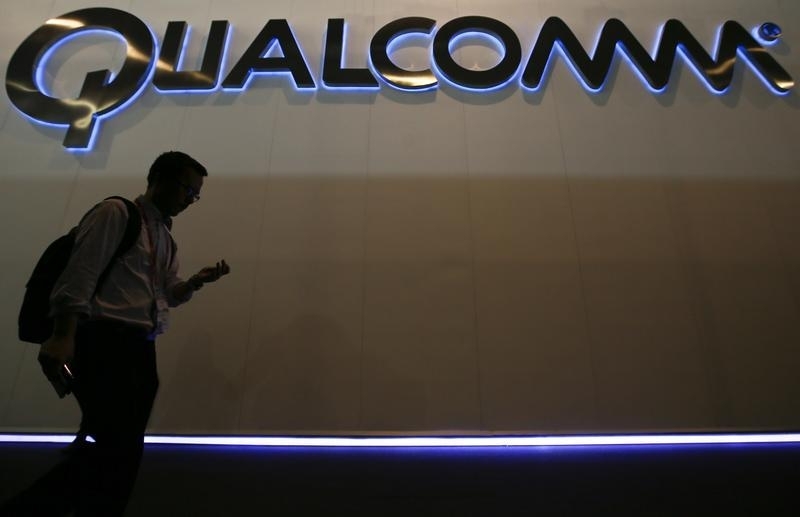 Activist investor Jana Partners has called on Qualcomm to consider spinning its chip-producing unit from its patent-licensing business, according to an April 13 report in the Wall Street Journal. Jana owns a more than $2 billion stake in the $114 billion company. It has also called on Qualcomm to cut costs, accelerate share repurchases and make changes to executive pay and the board of directors. In March, Qualcomm said it planned to buy back up to $15 billion of shares and raised its dividend by 14 percent.